University of North Texas Alternative Spring Break group enjoyed their service trip. AMP and Mission STL staff accompanied with them. New year, new AMP experiences! 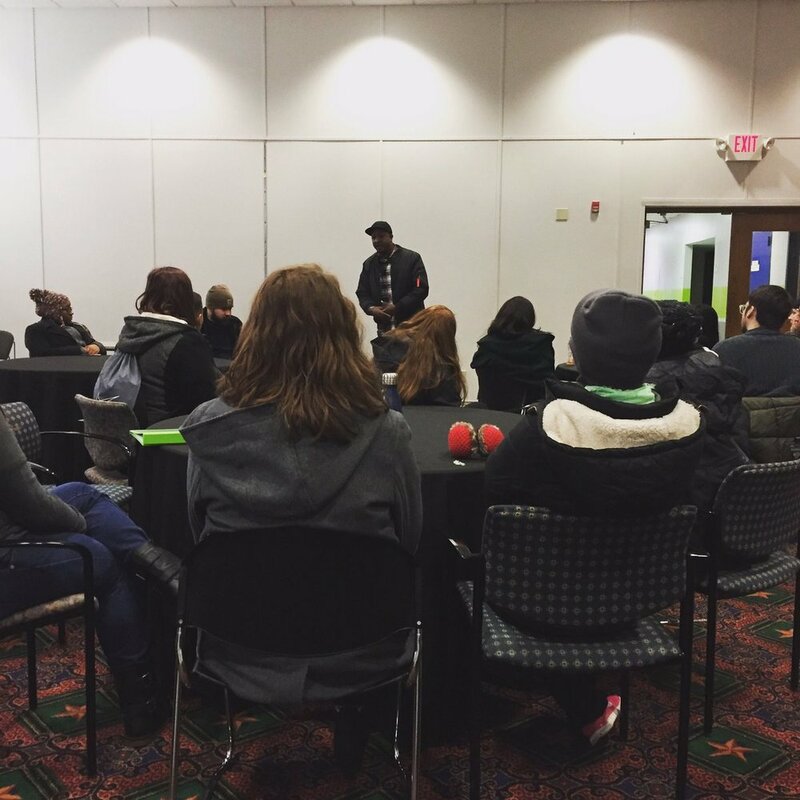 Mission St. Louis hosted its first service trip of 2017 with University of North Texas Alternative Spring Break. These college students spent a week doing community projects, listening to inspiring lectures from our staff, and learning about our organization and the history of North St. Louis. Director of Beyond Jobs, Jason Watson, gave his lecture on the Job Leadership and Training program hosted at Mission St. Louis. UNT enjoyed their different service projects assigned to them. They were immersed in our community serving the needs of local residents and schools. Projects included weatherizing people's homes, remodeling porches, and even building a sand volleyball court. This group left with useful skills and and a sense of pride in having had made an impact. UNT built relationships with local residents they served. During UNT's down time, they fellowshipped with each other with a pajama party. "Y'all are amazing, and I thank God for pushing me to come here and experience such an amazing place." "Honestly, I grew so much through just going into the neighborhoods....I also felt really empowered."